You know you’re getting old when little things that you thought would never change, suddenly change. 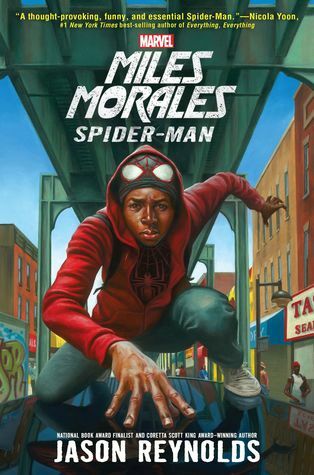 I grew up with Peter Parker as Spider-Man, but there’s a new Spider-Man on the block and it’s Miles Morales, a teenager who is half African-American and half Puerto Rican. Although it isn’t explained, I get the sense that this is not a second Spider-Man, but that this is the Spider-Man in a rebooted universe. There are some similarities between Parker and Morales – teen, bright, radio-active spider bite, etc. – but the background heritage of Morales provides for some very different insight into being a superhero from the very white Peter Parker. Morales, and his best friend Ganke (who knows about Morales’ spidey powers), are feeling the pressure from a pretty nasty teacher by the name of Chamberlain. Chamberlain almost goes overboard in his taking his top students down a notch or two. Almost. But Miles’ spidey sense gets a little weird when he’s around Chamberlain and he (Morales) has been having some very strange dreams and he finally decides to investigate things a little more. On the non-superhero side of the story, Miles learns that he has a cousin he never knew about. His uncle Aaron and his father were estranged, due to Aaron’s shady past, but Miles had a close relationship with his uncle (despite his father’s warnings to stay clear of him). When Miles and his father both receive letters from a teen in jail, claiming to be Aaron’s son, they are taken by surprise. This was a really interesting book. It definitely has a bit of a darker tone than what I would expect in a story for middle-schoolers, but I really appreciated this ‘minority’ teen look at how to deal with super powers as well as school. The plot doesn’t show up until half way through the book, though a sub-plot, dealing with typical teen issues (boy-likes-girl) is set up early and the sub-plot does flow into the plot. There was a lot that I liked about this book, mostly dealing with a minority teen having unique powers. The story itself was a little dull, though I recognized that much of it might appeal to a young student. But mostly I spent much of the book wondering what the heck was going on and whatever happened to Peter Parker. Perhaps the young reader wouldn’t be so attached to an older character, or perhaps those picking up this book already know about this reboot, but given the popularity of the Spiderman movies (with Parker as Spiderman) it would seem to me that some sort of explanation of how/why this new name, new character would be in order. I had to check in with a friend who’s a long-time comic reader to get the scoop on what this was all about. And I was not a fan at all of Morales’ best friend Ganke. He came across as selfish and whiny and I couldn’t wait to get away from him any time he appeared in the book. Looking for a good book? Miles Morales: Spider-Man by Jason Reynolds is a new take on the Spider-Man superhero character, targeted toward middle school students but older readers may be confused by the change. 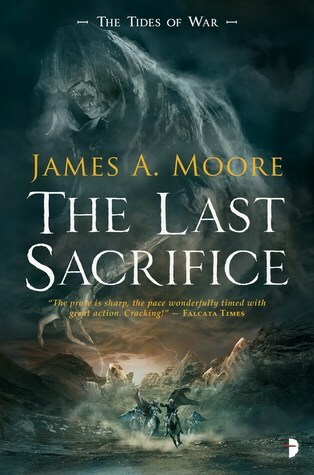 The publishing trend in trilogies has pushed authors to think in terms of a three-act story, rather than writing three individual books, and that is quite apparent with James A. Moore’s The Last Sacrifice, the first book in a new trilogy. A race of people, known as the Grakhul, are immortal servants to ancient gods. In order to keep the gods content the Grakhul will often provide for human sacrifices. But the Grakhul may have made a mistake when they chose the family of Brogan McTyre – one of the toughest warrior families ever. Brogan won’t take this lying down and his fight to protect his family has him re-thinking the purpose of the gods. But the gods have been ingrained in the culture and it’s not easy to convince the population to challenge everything they’ve known. The story is at once a tight, immediate story about Brogan and his family as they are pursued and they try to make sense of the order of the gods, and it’s also a grand story with the gods keeping a balance between order and chaos. I really appreciate this sort of book that can be about something personal and have epic complications. Moore’s writing is smooth and the book is full of action and it moves swiftly from moment to moment, keeping the reader entranced. But once the book is done and the reader reflects on the story we realize that there isn’t much here except the action. The basic plot, as defined above, is laid out for the reader about two-thirds of the way through the book. That’s right … the plot of the book is finally revealed just when it should be reaching its peak. It does this because this isn’t really a self-contained book. This is the set-up for the next book, which will hopefully actually give us more of a story. Given Moore’s ability to pull the reader in, this should be a fun, exciting series, but if you want to read an exciting book (singular) then you might want to look elsewhere. This will be a commitment to a trilogy at least. Looking for a good book? The Last Sacrifice by James A. Moore is an exciting beginning to a series, but you will need to commit to the entire run in order to get the actual story. From half the mind of Dark Screams … er … from Brian James Freeman, co-editor of the Dark Screams series, comes Halloween Carnival, Volume One. This looks a lot like the Dark Screams series, but with a slightly more targeted focus or theme – Halloween. The anthology starts out with Robert McCammon’s “Strange Candy.” I feel like I’ve read this one before, but I’m not 100% sure. Chris Parker eats some sparkly candy shaped like a human hand and he’s on a little bit of a trip – visited by spirits who pass on messages from loved ones. “The Rage of Achilles or When Mockingbirds Sing” by Kevin Lucia is a powerful story, well told. A Father is meditating in a confessional on Halloween night – the one night he doesn’t usually listen to confessions, when he hears a tale of an autistic boy that will affect him – and the reader – quite profoundly. “Demon Air” by John Little has the witching hour of Halloween occur in an airplane, mid-flight. This story didn’t fit the book as well as I would have liked. The Halloween theme felt like something the author was trying too hard to work into a pre-existing story. I quite enjoyed Lisa Morton’s story, “La Hacienda de los Muertos.” Here an old cowboy actor, who started in the silent films and never quite made it big, though he did have a long successful career, is booked by his agent to work in a Mexican horror film and the old actor becomes quite involved with the local legend of La Llorona. This story just felt so real to me and I felt like I was reading a biography of the old actor rather than a short dark fantasy story. “#MakeHalloweenScaryAgain” by Mark Allan Gunnells is the longest of the stories included in the book, filling up half the pages of the slim volume – meaning this story is as long as the other four put together. Dustin Davis is a writer who is disappointed by the commercialization and apathy people have developed toward Halloween and he begins a campaign on social media to #MakeHalloweenScaryAgain. But the campaign backfires when someone does decide to make Halloween scary by killing people and using Davis’ hashtag slogan as a calling card. I enjoyed this novelette quite a bit and I’d be delighted to read someone more of Mark Allan Gunnells. Looking for a good book? 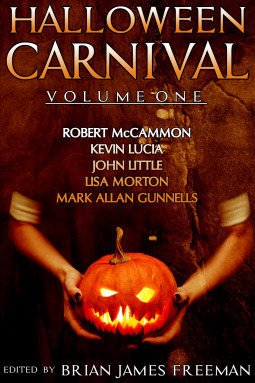 Halloween Carnival, Volume One probably has limited appeal, but for anyone interested in short, dark fiction, this is a delightful read. I have been a fan of the Flash Gordon character since … well, I don’t know when. Probably when I read The Lion Men of Mongo (by Alex Raymond) back in 1974. Since then I’ve eagerly read almost anything with the Flash Gordon name on it. This graphic novel, by Jeff Parker and with art by Jesse Hamm, really isn’t so much a Flash Gordon story as it is a “Defenders of the Universe” story – a series by Dynamite Entertainment that mashes together a number of popular pulp-style heroes joining forces to … well … defend the universe. In this story, our band of pulp heroes (Flash Gordon, Mandrake the Magician, The Phantom, and Prince Valiant (Prince Valiant?!)) are defending against Ming the Merciless, Flash’s greatest foe. Ming is teleporting an entire continent from Mongo to Earth so that he can begin his reign of terror and take over the planet. It’s classic pulp action with some classic pulp heroes and it’s … well it’s not going to be a classic. Parker moves the story along very rapidly, making this read more like a series of Sunday comic strips rather than a book length story. Hamm’s art is cartoon-y, making this feel like early 1950’s comic strip art, which at least lent an air of nostalgia to the piece, which I enjoyed. However, the art did take me out of the story. I often thought about a panel or even a page and why I liked it or why I didn’t like, and what seemed ‘different’ about it, which meant I wasn’t really thinking about what was happening on the page. Not that I missed much. The story was oddball corny and prompted more than a few rolling eyes on my part. I definitely wanted to like this (I haven’t requested many graphic novels to read lately), but other than for a bit of strange nostalgia, there really isn’t anything here that would make me want to read more of this Defenders of the Universe series and I certainly can’t recommend it to anyone. Looking for a good book? 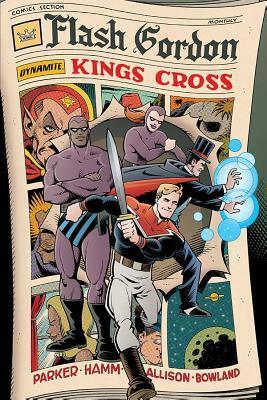 The graphic novel Flash Gordon: King’s Cross is part of the Defender’s of the Universe graphic novel series and fans of the series will want to read this installment but anyone else should probably just keep on looking. I really enjoy a good horror story, and there is one in here. Unfortunately, it’s about ten pages long and it’s surrounded by 280 pages of teenage angst and uncertainty. Beckett is out walking her dog one night when she hears a cry. She’s worried that it’s a baby that’s been abandoned out in the cold. But it’s actually evil incarnate and Beckett has brought it into her home. That evil slowly begins to change the city of Philadelphia, but the changes only occur at night where even the inanimate objects are there to lure a foolish soul to their doom. The changes are wide-spread, and the police and the hospitals are aware of a growing number of ‘incidents’ taking place in the city, though only Beckett is aware of the cause. Beckett’s father is the police commissioner. He had Beckett’s mother just finalized a nasty divorce. While Beckett chose to stay with her father rather than move to Boston with her mother, the growing evil means that he has a lot to deal with and isn’t home. Beckett also has a best friend, Piper, who is rude and over-bearing when it comes to Beckett. And then there’s the guy Beckett is crushing on, but she’s too timid to let him know. Author Jenna Black does a really nice job of setting up the horror in the darkness here, and it grows nicely, spreading like a cancer through the city and through the reader. For me, however, there was a lack of ‘action’ or motivation. We get the growing evil and the fear for Beckett, but we have 300 pages of growing evil and not much else. Does Beckett fight this evil? Does she try to warn her father and by extension, the city? I got so bored reading through this. The opening pages really hooked me, but I slowly grew to be more annoyed by Beckett and her friends than anything else. Just as I stopped caring about the growing evil Black would manage to bring about a paragraph or chapter that renewed my interest in what was happening, but then Beckett would go off and do something that completely made me not care anymore. It was an annoying roller-coaster of a ride for me. Those teens who enjoy reading about other teens with lots of angst and problems, and who also want to read a good horror story, would probably really get in to this story. I, however, was bored and will look for a good horror story elsewhere. Looking for a good book? 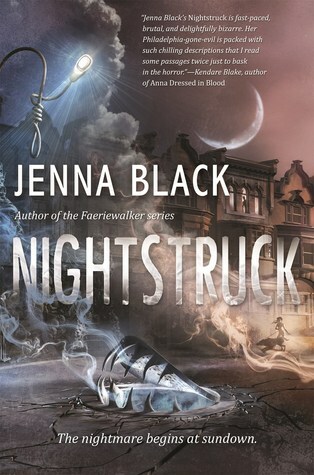 Nightstruck by Jenna Black is a dark story of an un-named evil spreading through a major city at night, and a teen who unwittingly brought it about and her problems as a teen. Adam Blake is a young, pre-teen boy who is stuck in a never-ending loop of re-living his life. But each life he lives is not exactly the same as the one before it or the one before that. Adam can remember each life and make changes. He can follow a different path, make different decisions. The only constant is that he will return – older (in over-all years lives) and (presumably) wiser. This might sound wonderful at first, but as Adam continues to relive the same life it has him seriously contemplating the meaning of life and welcoming the idea of death. There is a lot to like in this self-published novel. Author Ryan Gladney addresses some pretty sophisticated ideas in this book that is most likely targeted toward a middle school audience. Longevity and mortality are tough to think about at a young age. The amassing of wealth – the accumulation of scientific knowledge. This is not typical young reading fare, which is what makes this book a little tough to categorize. So…why do we need to categorize it? Isn’t it okay to stand out on its own? Sure. But an author wants to reach his or her optimal audience and typically any book featuring a preteen main character is typically considered a book for children. I liked the writing and I liked the themes. This is not a book that my teenage boys would enjoy, despite their enjoy a wide range of science fiction and fantasy because of the young age of the character, but distance (in my case) has allowed me to read YA and mid-grade fantasy and enjoy. Looking for a good book? Nine Lives of Adam Blake by Ryan Gladney is a good read though maybe a bit tough for the target audience. How do you follow up a mega hit? On the heels of The Martian, Andy Weir’s breakaway hit that seemingly came out of nowhere, Weir does a wise thing and DOESN’T try to recreate the magic of his first book. Instead, he goes a slightly different route. 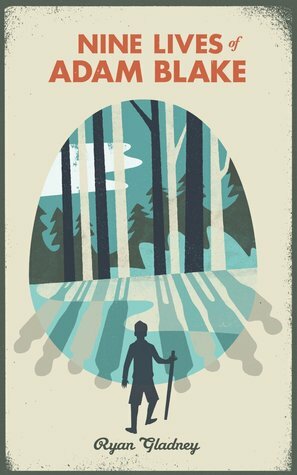 Instead of a survivor-in-the-wild adventure story, we have a story that is more of a YA mystery. With a female protagonist. But the hard science that we loved in The Martian is still here. Artemis is set on the moon. It is the name of the first, and only lunar city. Jasmine “Jazz” Bashara lives in Artemis and has since she was six – for two decades. She’s got an incredible talent for welding and it’s a trade that could serve her well, but Jazz is too much of a rebel to conform to a steady, union job. Instead, she scrambles for an existence by smuggling small-time goods into Artemis. She dreams of the day when she can lead tours on the lunar surface – a job only a very few, highly trained, individuals get to do, and they are well compensated for their efforts. But things have been slow and Jazz failed her most recent EVA test on the surface. What she needs is a top-of-the-line space suit, but to get that, she needs money. After delivery some smuggled goods to her best customer, Jazz is made an offer that she simply can’t refuse. The customer has a plan to take over the production and delivery of oxygen to all of Artemis, but he needs Jazz’s help in sabotaging the equipment that currently brings in the supplies. In exchange for her work of destruction, she’ll be paid a small fortune – enough to buy the suit she desperately needs. Of course, she could wind up killing everyone on the moon while she’s at it. I really liked that this story was so completely different from the previous book. I thought about it quite often – making the comparison that is inevitable considering The Martian‘s popularity. Jazz was a very different character and she was quite likable – not an easy feat given that she’s a smuggler and saboteur. However, I was CONSTANTLY picturing her as a fifteen or sixteen year old. Everything she did and the way she spoke suggested a wise but immature girl, rather than a woman in her mid-twenties. I was fine with her being younger and it definitely seemed ‘right’ but subtle reminders of her age took me out of the story. Jazz has a pen-pal relationship with a male on earth. These notes back and forth only add to the suggestion of Jazz being a teen rather than a young, mature woman. The notes are quite interesting, giving us a unique look into her personal life, and I did wonder, early on, why these missives were included in the story. It becomes clear later on. The science that Weir adds is great and certainly part of what we readers have already come to like about his work. Yet this sometimes felt too much – that the science explanation for something was being offered just for the sake of showing off the technical knowledge and not because it was necessary for the story. Still…I enjoyed my time in Artemis, with Jazz and those she worked with and those she worked against. In trying to rate this book on its own merit, and not as ‘the next book following The Martian,‘ I would definitely find it flawed but enjoyable and something that would prompt me to want to read more by the author. Looking for a good book? 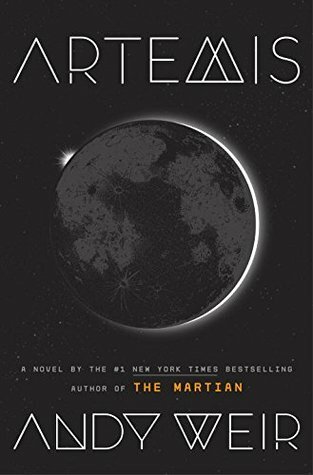 Artemis by Andy Weir is an adventure/mystery on the moon with plenty of interesting characters, solid science, and a decent story. It is definitely worth reading.